A painted finish that never goes out of style is stripes. 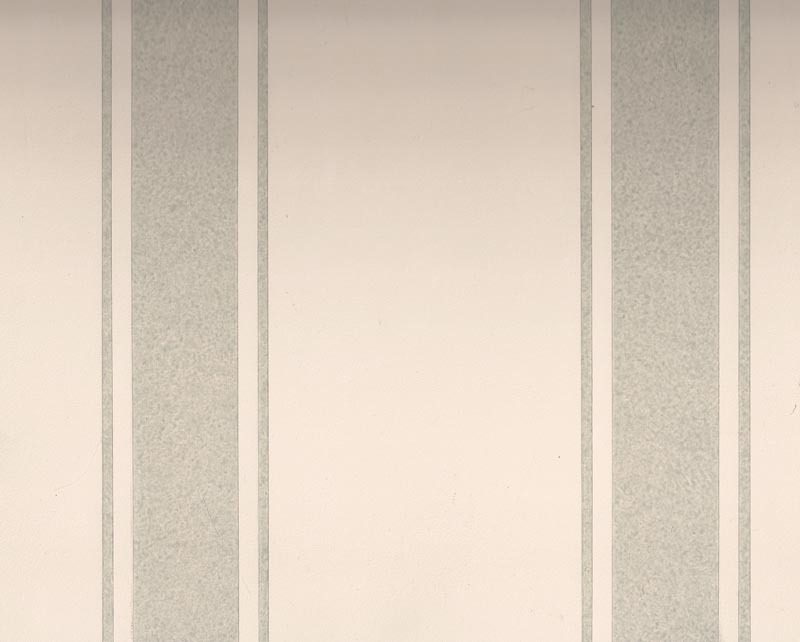 Stripes can be bold or subtle, modern or traditional, bright or subdued, serious or playful. This week, I spent four days striping a small bathroom. Yes, four days. The stripes were 1 inch wide and 1/4 inch apart. The sample looked like this. Do you see how the color of the stripes seem to flip halfway down the sample? It’s caused by the light hitting a unique acrylic paint. Here’s the process. The wall was first painted a soft green. Next, I applied a shimmery pearly iridescent glaze overall. When that dried, it was time to start taping. Once the lines were taped, the second glaze layer was applied, a mixture of the pearly glaze and an interference green. 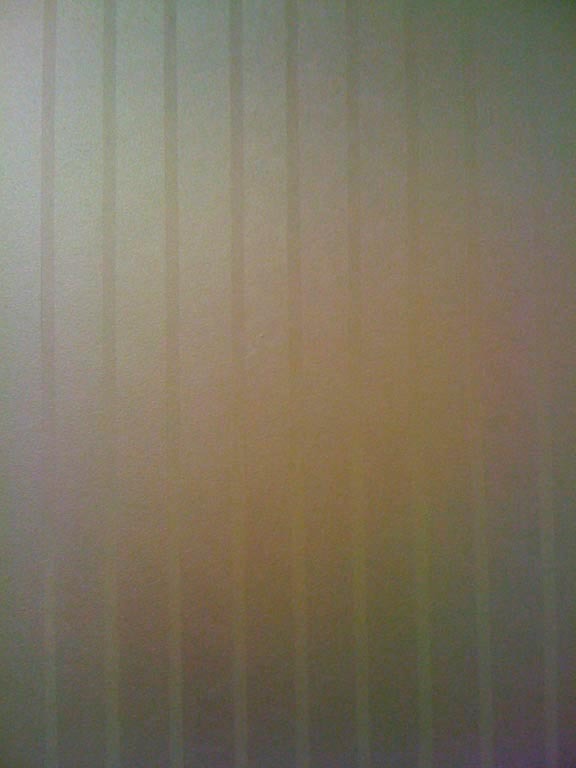 Interference colors flip between a bright opalescent color and its complement, so as the light shifts or as you move, the wall will change with you, depending on the angle you are viewing the stripes. But that won’t happen until you’re done. In the meantime, start taping. Each line of tape is placed with a level to be sure that it’s straight. I use a template to make a tiny pencil mark to indicate where each stripe should fall, and to figure out if they will fall correctly. 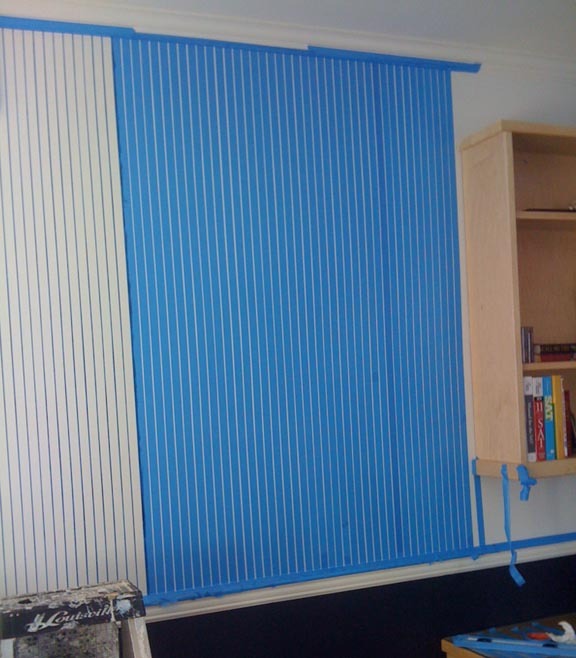 For example, in the photo above, the tape has to come around the corner evenly, with the corner falling in the center of the stripe. How likely is that? Not very. Usually that means getting out the calculator, but in this case, it was close enough that I could eyeball it. This is the opposite corner. So lucky that the corner once again fell in the middle of a stripe! Well, no. Fiddled with that one, too. Here we are going around the door. 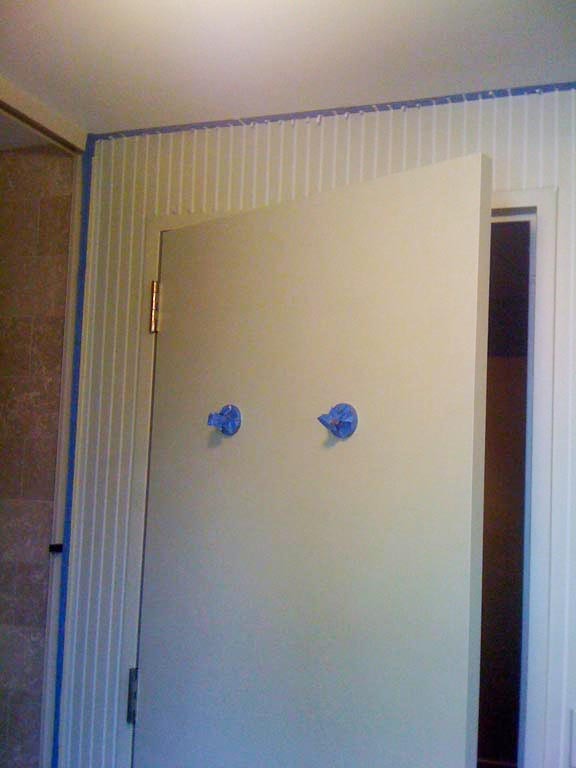 The stripes need to fall a correct distance from the door frame as well. On the left side, I stayed a half inch from the frame, and on the right, I had the stripe hit the top of the door frame so it wouldn’t have to continue down. All of these little adjustments have to happen in small enough increments that your eye won’t notice the differences between the widths of the stripes, all of which have to appear to be one inch wide. There’s also the question of whether the door frame, window frame and walls themselves are plumb, meaning absolutely vertical. Usually something is structurally tilting, so in that case, the tape has to tilt a bit, too, or else you’ll see that something is crooked, but it can’t tilt too much, or everything will be on a slant. On this wall, the tape to the left of the corner has been pulled; the wall is complete. The tape on the right is set up to glaze. 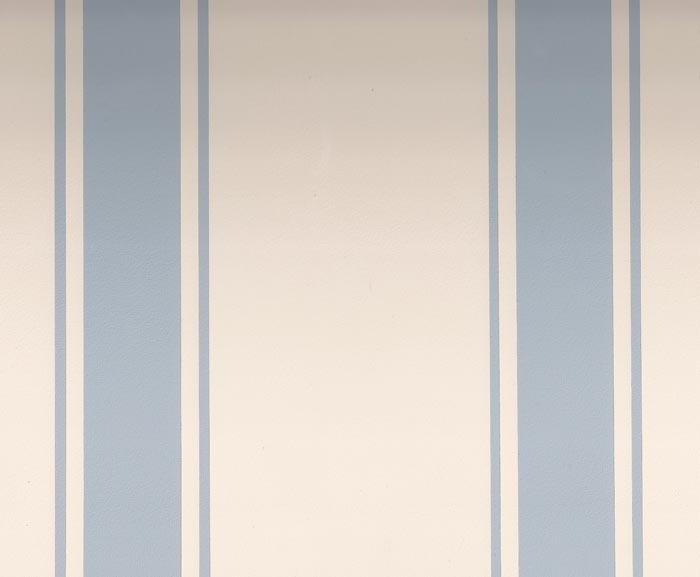 Walls are glazed in sections of five or six stripes at a time to avoid drying lines, which are always a worry when working with acrylics. As each section is rolled from ceiling to floor, the blue tape protects the next area. 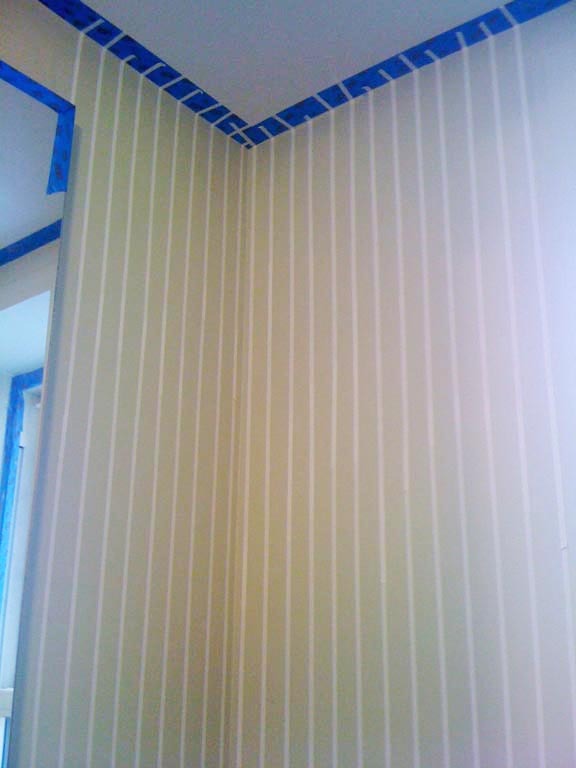 The glaze is hard to see, so it’s important to be sure that the full width of each stripe has been glazed. The tape is pulled when the glaze is still wet to ensure a crisp line. Here’s the same corner completed. It’s a beautiful, subtle effect. Stripes can be painted in all sorts of ways. 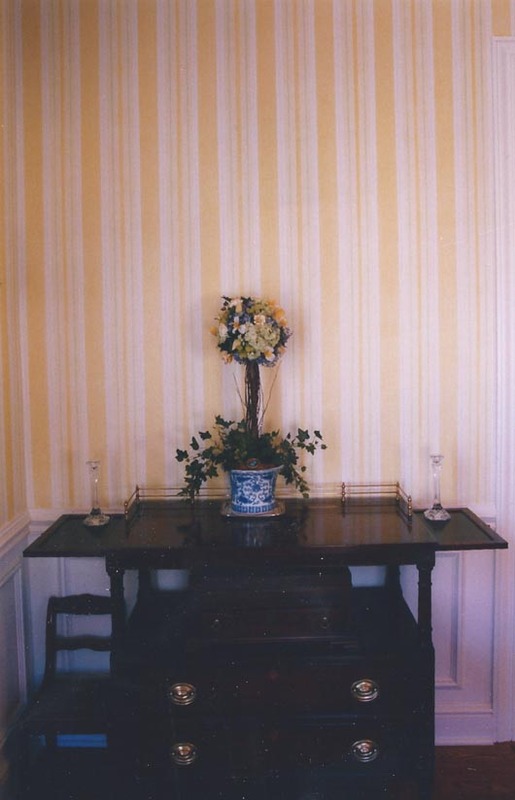 On this sample, patterns were combed over the stripes. These stripes are one inch wide, three inches apart. The client wanted them crosshatched in pencil, then varnished. I didn’t get the job. I was not upset. Here they’re painted with a simple flat color. The was the first round of samples for a large bedroom. The fat stripe is 1-3/8″ with a 1/4″ space before the 1/8″ narrow stripes on each side. The designer liked the pattern but preferred to glaze it. This pattern was especially tricky to get around the corners correctly. When a pattern is on all four walls, it has to circle the room and join up to the first corner perfectly while still looking like the approved sample, so you’re tweaking 1/8″ here, stretching 1/4″ there. If math is a problem, stay away from stripes! Here’s the approved sample, which was an exact match to the fabric used for the drapes. It took three of us four days to tape the room. 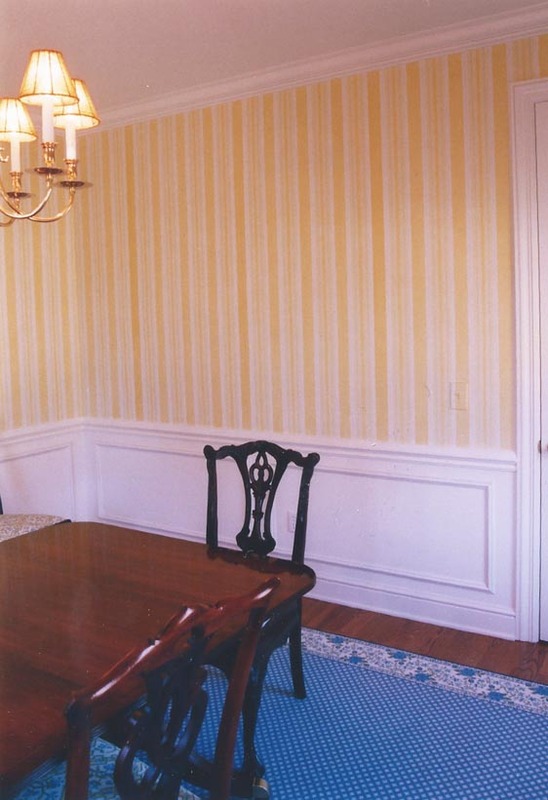 One of the first jobs I did when I started my business was a striped dining room. Layers were glazed on top of one another, with a fine blue pinstripe hand-painted last. Each wall took two days. 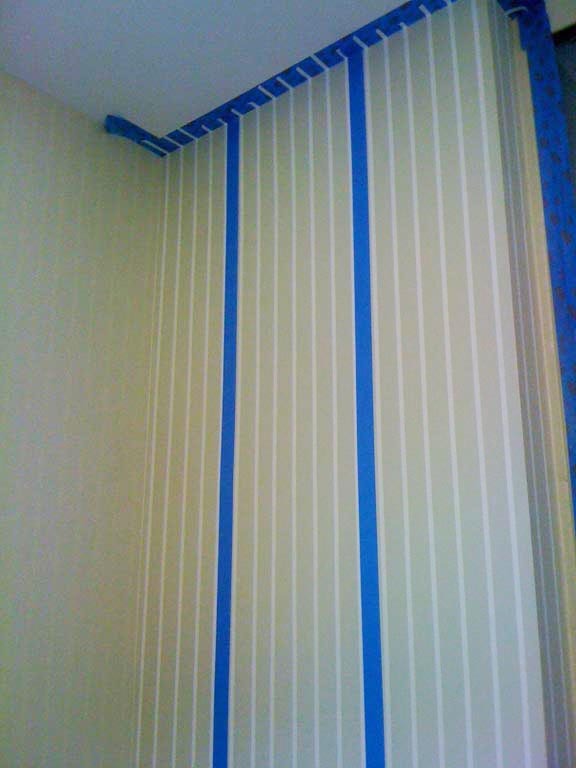 The most difficult stripe job I ever had was for the son of one of my clients. 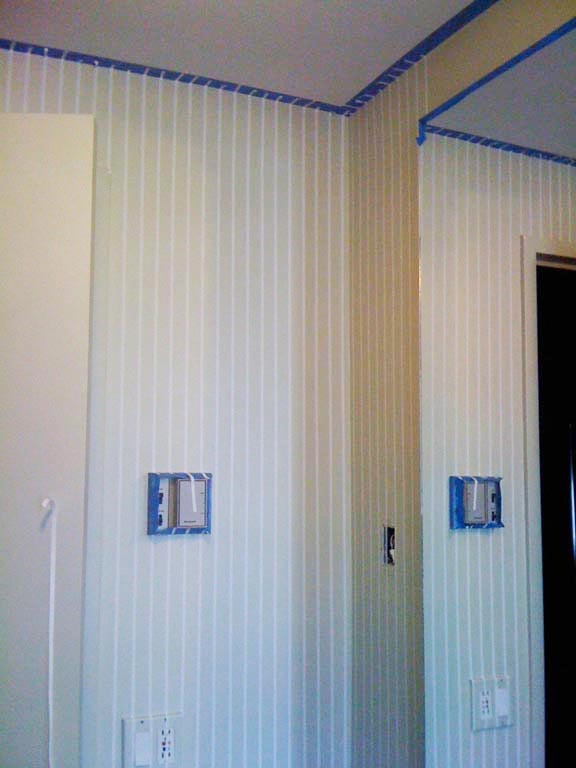 As Yankees fans, they wanted his bedroom painted to look like the Yankees uniform, 1/8″ stripes set one inch apart. They had even found the official shade of blue. 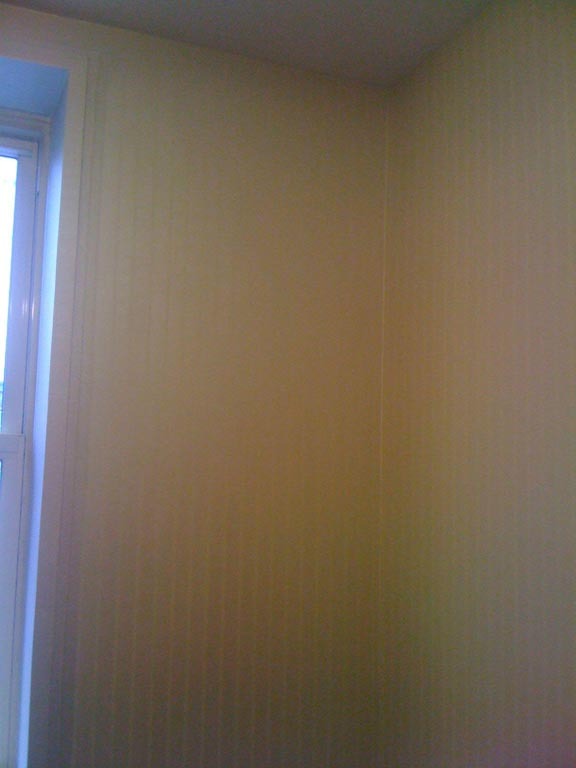 The saving grace was that the room had a chair rail, so we didn’t have to tape the full height of the wall. Here you can see the finished portion to the left and the taped portion to the right. Out of view are my two assistants, losing their minds. 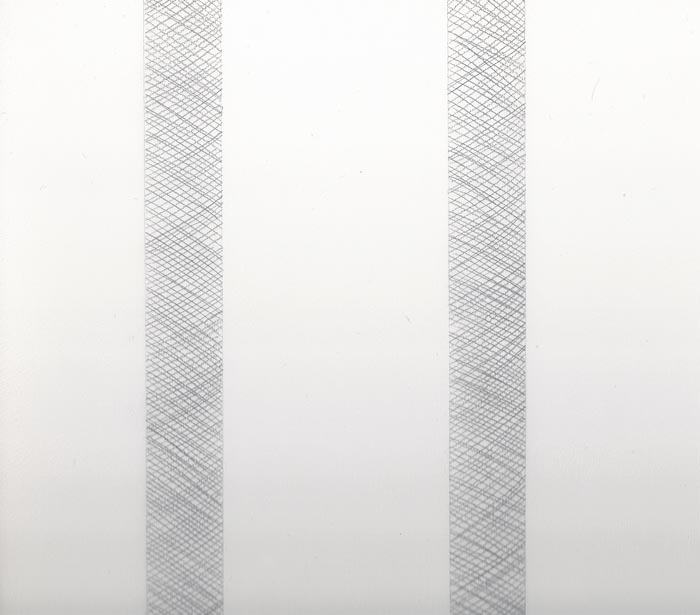 Stripes are gorgeous, but they require a certain Zen calm. Put on some music, take your time and remember the best part: pulling the tape. It’s fun to post photos of challenging glazing projects like marbling fireplaces and wood graining doors. 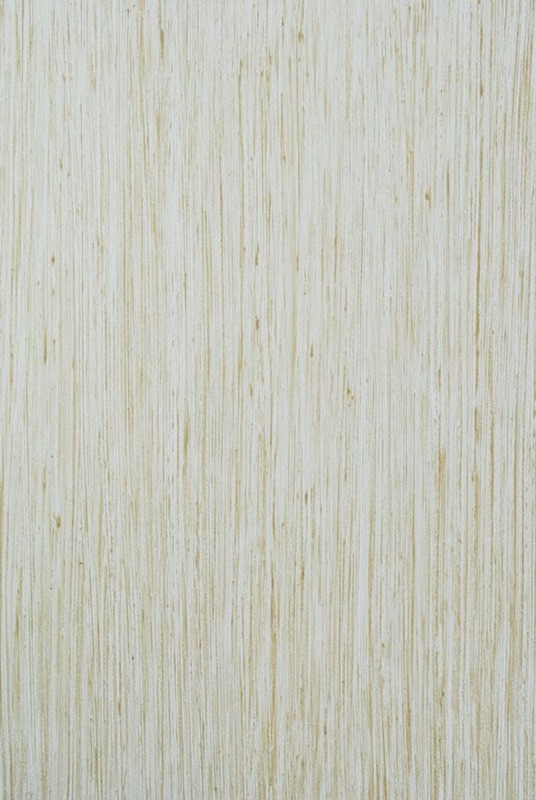 But almost all complex finishes are at least partially based on a few simple techniques. A glazing technique is either additive or subtractive. 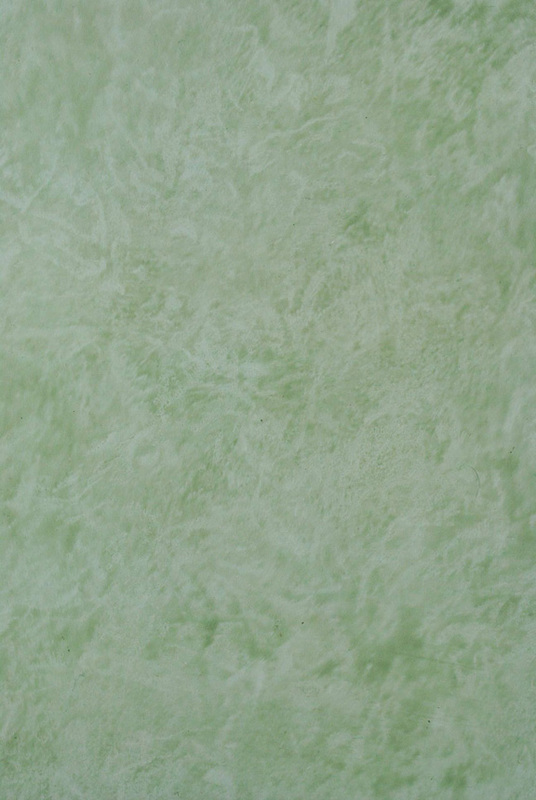 An additive glaze is simply applied to a surface with a particular tool, like a sponge. A subtractive glaze is rolled on with a paint roller, then removed with a tool chosen to create a specific pattern. 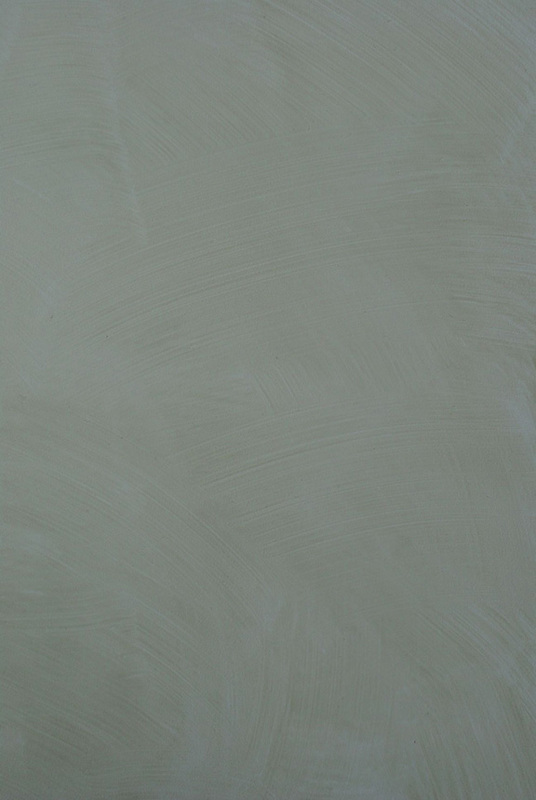 Most glazes are subtractive, and there is variety within each technique. Glazes can be created in any color, and all projects require that the color be custom-mixed for the client. Above is parchment, where the glaze is removed with cheesecloth. It’s the simplest and most requested finish. Sometimes this is so subtle that I call it The Invisible Glaze. 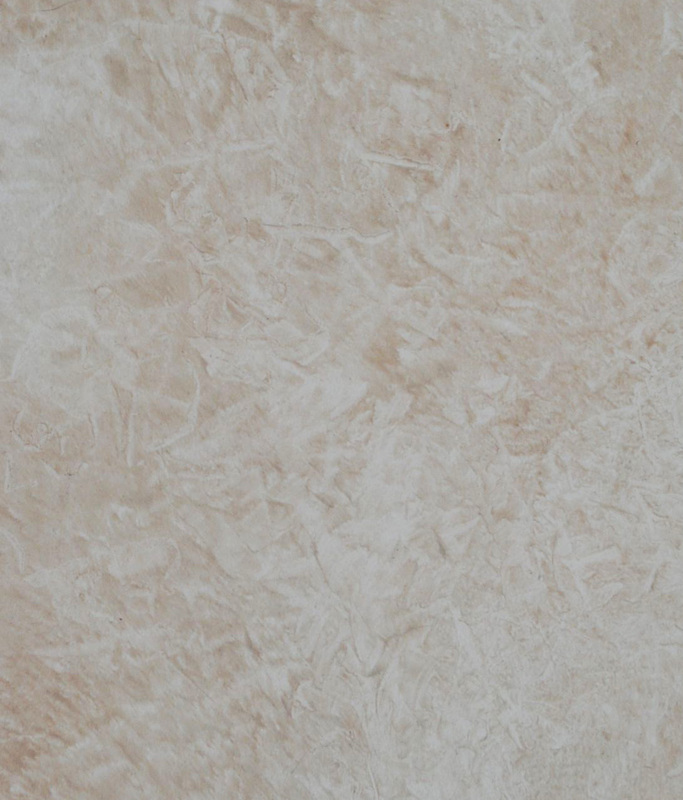 It’s usually painted in a light neutral color as an unobtrusive backdrop to a room’s art, furniture and textiles. Here’s an example of soft ragging, where the glaze is removed with bunched up cotton rags. 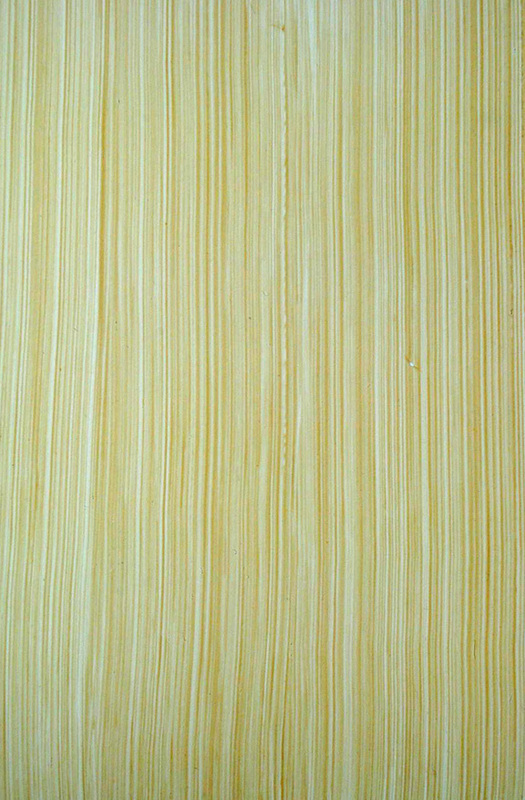 That’s followed by a sample of plastic ragging, where the initial cotton ragging is worked over with bunched up plastic to create a harder edge. The texture of ragging can be very strong and can incorporate more than one color, which is usually not done in a home because it’s overwhelming and draws too much attention to itself. 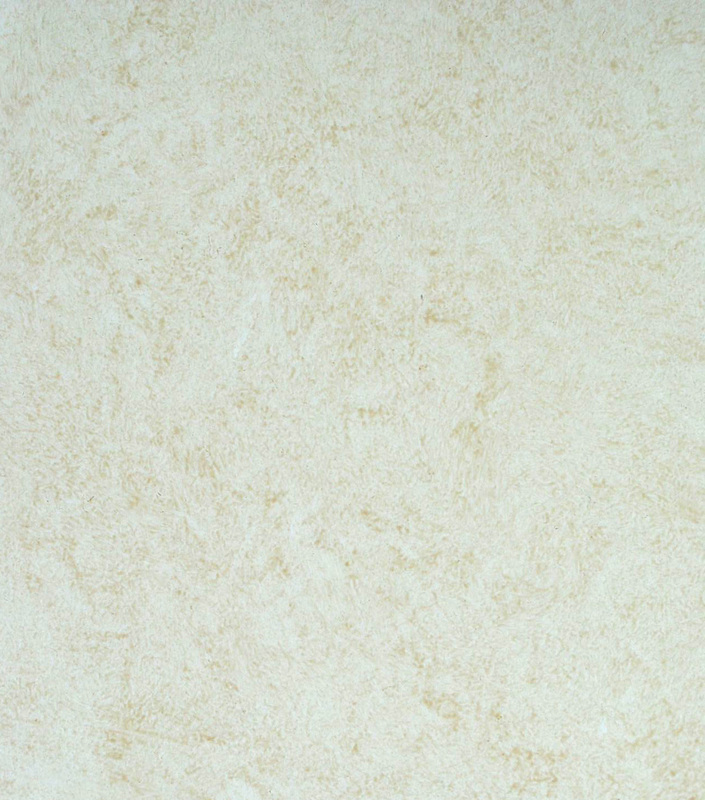 The sample below is a two-color commercial finish, appropriate for a casual restaurant. 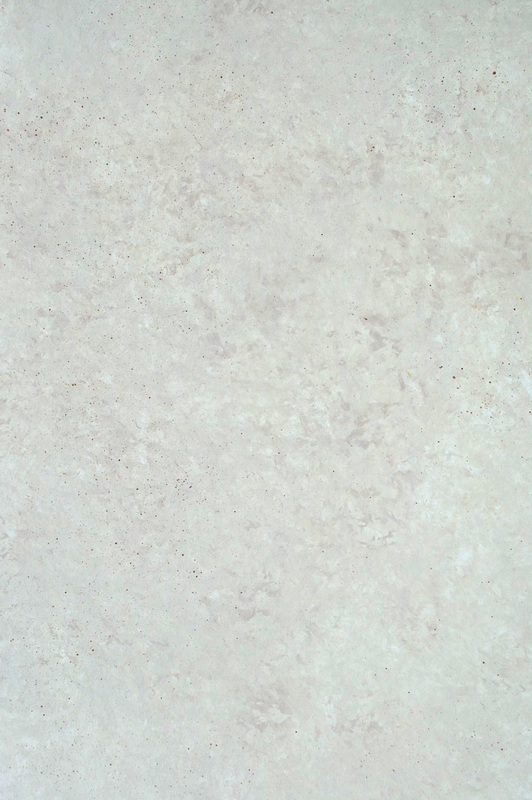 Ragged finishes are great at hiding an old wall’s less-than-perfect surface. Above is a strie (French for striped, pronounced “stree-aye”), where glaze is removed by dragging a brush. This can be soft or more pronounced and requires perfect prep on a wall, since every lump, bump and ding will be emphasized by the pattern. Below is steel wool strie, where steel wool is dragged after the brush. This is often used on woodwork. Below is a stipple, where glaze is removed with a stippling brush, a rectangular or square brush of densely packed hog hair bristles. 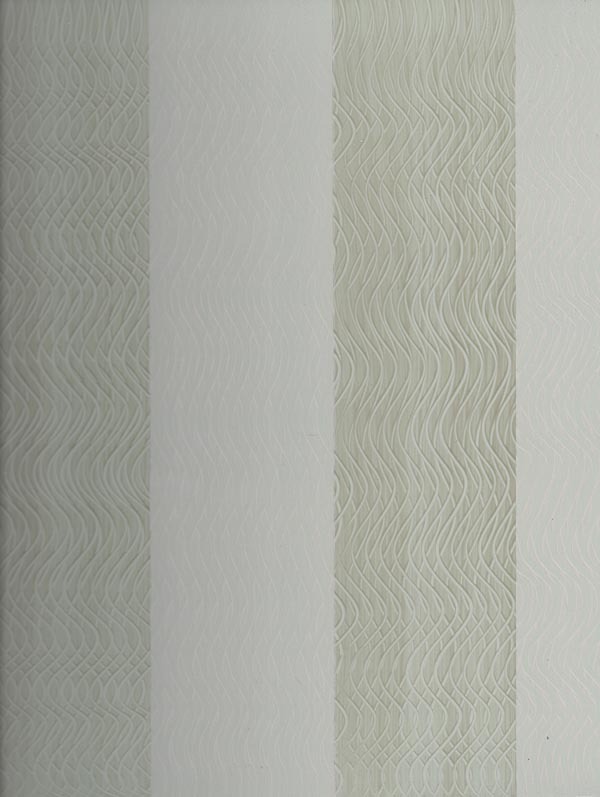 This is another subtle finish, since the brush creates a pattern without removing much glaze. And look, it’s in a strong color! 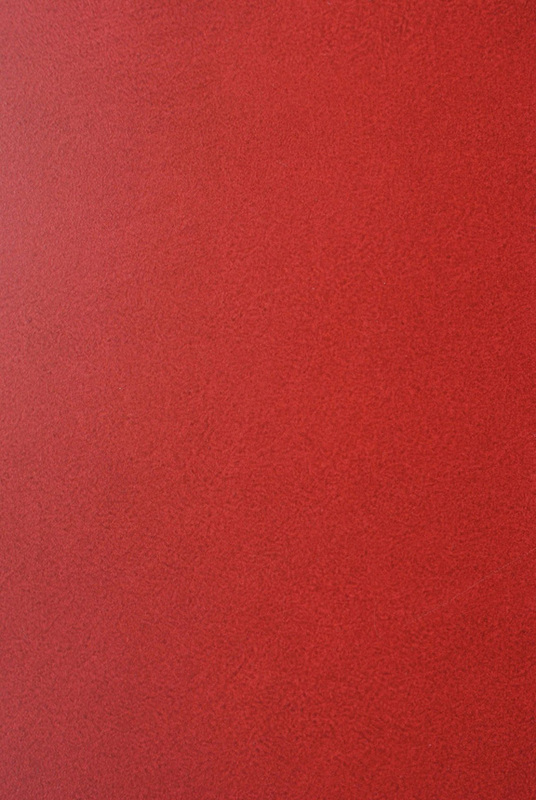 For some reason, deep reds are often used in libraries and dining rooms. I’ve tried to use colorful samples in this post, but usually I’m working in a world decorated in shades of pale cream and yellow. Below, a brushed finish, which is exactly what it sounds like. Love this technique, it’s quick, graceful and playful. And now the only additive technique, the famous sponging. Sponging was big in the 80s and is still the look many think of when it comes to painted finishes, although I’ve never done it as an overall wall finish. 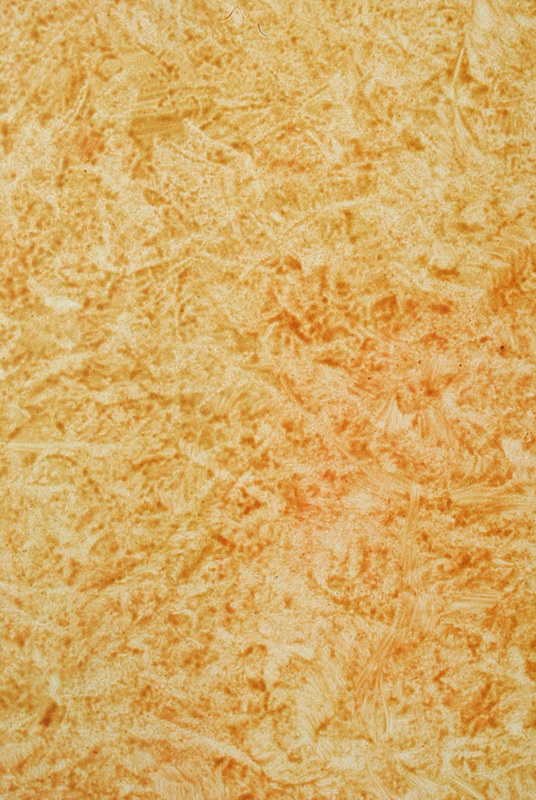 Today, it’s seen more often as a technique used in marbling or faux limestone, as below. It’s hard to explain how a glazed finish changes a room. Even with a quiet finish, the room feels more alive, the texture creating a layer of movement on the walls. The room feels larger as well, as your eye slows down to acknowledge the pattern, even if your conscious mind doesn’t realize it’s there. A rare bird: a room with walls glazed in a strong color. Loved this plum! It took two layers of parchment finish to get the depth we wanted, then we varnished it so it was shiny. It was published in House Beautiful magazine in September 2006. I felt like a proud mother! Last year, I decided to it would be fun to keep a sketchbook journal, even though I’ve never been able to maintain a consistent drawing practice for any length of time, despite multiple attempts. I managed to keep it going for about six weeks before I got too busy one week, and then it left my brain forever. 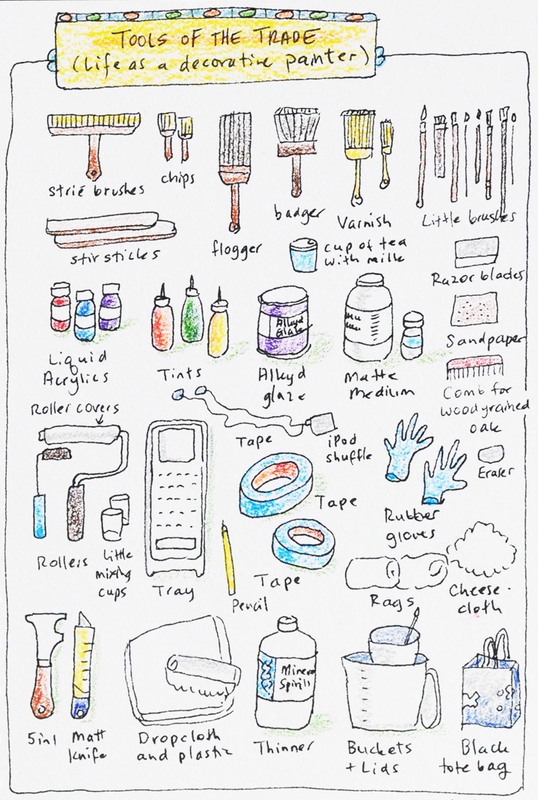 Before that happened, in the flush of enthusiasm during the first week, I drew this diagram of some of my painting tools. The tools change for every job, but the basics are always the same: glaze, solvent, colorant, container, things that put the glaze on the wall, things that take the glaze off the wall, and things that prevent the glaze from getting on things other than the wall.